To read A.F. Moritz is to find out what it means to be alive at this juncture of history. These poems are mansions, both derelict and opulent. Wander in with the mind open and hear what the ages, humanity, and the myth of progress have wrought. 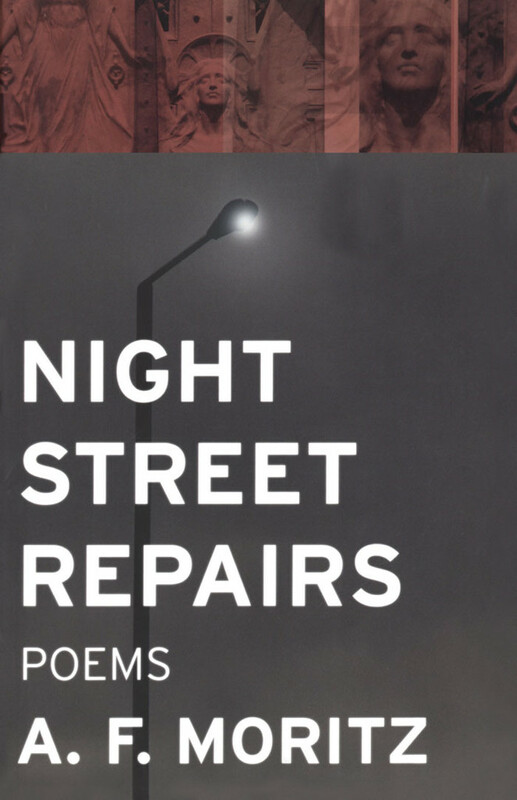 Night Street Repairs contains necessary meditations on time, modernity, and our current situation as a society of appetite flirting with self-destruction. Many voices act as vigilant witness to our urban wastes and wastefulness. Moritz’s unmistakable cadences — magisterial, philosophical, and funny — mingle among the ancients, the Bible, Leopardi, Montale, and Rilke as he extends his already prestigious and singular poetic project.